The best part about Monkey Bars storage systems is their matching color options. Whatever combinations of products you choose for your storage, the primary finishes and hardware are available in the same colors. This makes truly professional garage makeovers in Detroit finally possible for any homeowner. All steel shelves and racks come in Granite Gray and Desert Stone and provide tons of versatility when choosing complimentary colors with our cabinets and flooring. Our designer series of cabinets are some of the most customizable in the industry. They come in 14 colors and 10 two-tone options, including Cobalt Blue, Race Day Red, Sonic Yellow, Almond, Black, White, and much more. If you want your flooring to pop out, we've got just the color. Floor coatings are available in 10 coating and flake combinations and our tiles come in 19 colors and 5 designs. Shelving and Slat Wall include your choice of hooks, additional shelves, baskets, holders, and more. These match in our Graphite Pearl Finish along with our cabinet handles. 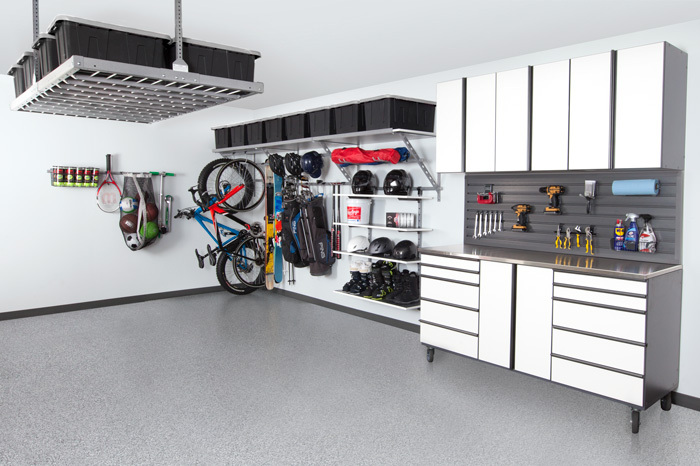 Most garages are spaces homeowners don't want others to see. Clutter, dirt, floor stains, and dust all contribute to making it an ugly area. To combat this, we offer the systems and options you need to completely transform it with a garage makeover in Detroit. Floor coatings and tiles don't stain and are easy to clean. Our storage systems are strong enough to organize all of your belongings. The accessories provide convenient access to frequently used items. And to top it off, they all come in the best color variety on the market. As the exclusive Monkey Bars dealer in the Detroit area, we are trained and experienced in customizing a layout that meets your storage needs. We use state-of-the-art software to visualize your design and work with you to create the perfect look. 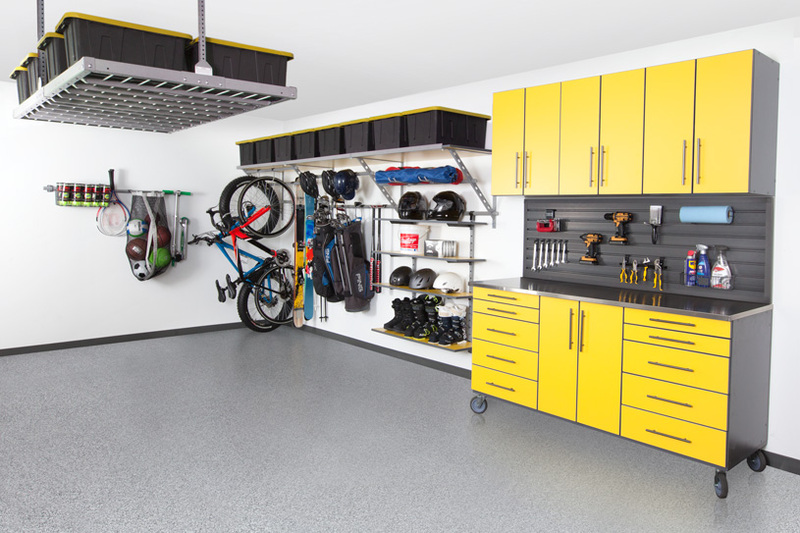 If you want to overhaul your garage, we're the ones to call. To see more ideas for color coordinated systems, browse through our line card gallery.